Visiting the dentist is definitely not an easy thing to do. All the anxiety and stress the dental office causes are one of the reasons why people often skip their regular checkups. Way back there was no way to deal with pain and anxiety, so dentists had to find alternative ways to ease the procedure and make it more bearable. Thankfully medicine has advanced so much that it’s easier to schedule and attend a dental appointment. This means that modern dentistry uses dental sedation, a great way to make procedures painless and more comfortable. In other words, dental sedation uses several different ways to help patients go through a dental procedure. It features many types of sedation, all of which affect the nervous system to a different extent. Some of these varieties provide a calming effect, while others can help the patient not even remember the procedure. This means that there is a way to get the patient to sleep while the dentist is doing their job. 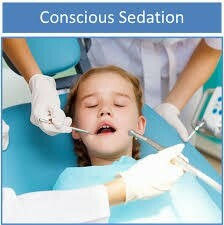 Everyone is familiar with sedation in one way or another. But to properly be done, all types have to be supervised by a professional. They are all different and affect the body in a separate level. The need for sedation comes from the fact that a lot of dental procedures are painful, which makes people avoid them often. So that it can all be easier for both patients and dentists, that is where these pain management techniques come in action. Another important thing to know is if you are scared of needles in your mouth from local anesthesia, dental sedation might be the solution. Some types will make you feel more relaxed and relieve you from the stress of getting local anesthesia. The others completely avoid the use of needles. Even the people who are absolutely terrified from the dentist and are experiencing dental phobia will be able to make their regular visits thanks to these techniques. We all know how important dental care is, so thankfully medicine has made it possible for everyone to be able to get the proper treatment. The laughing gas, or also known as nitrous oxide, does exactly what the name suggests. The technique is familiar as inhalation analgesia. You’ve probably seen it on movies, or even gotten through a dental appointment with its help. It is a painless and easy technique that requires you only to breathe through a mask. 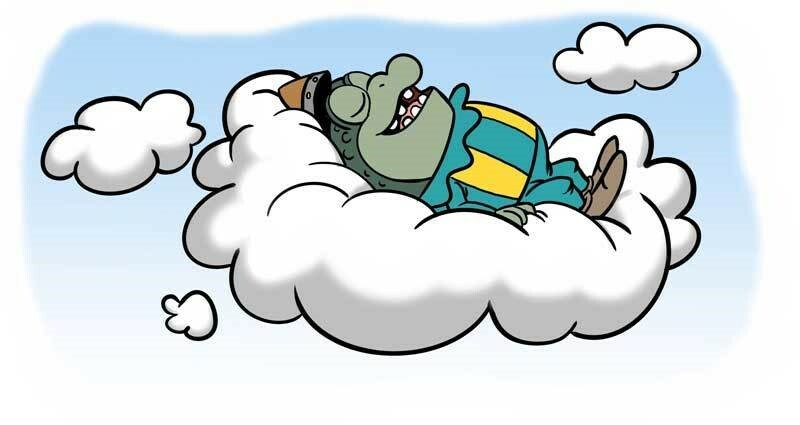 The gas comes in special tanks that are connected to a mask which you put over the mouth and nose. It is all in the hands of the dentist who decides and regulates the levels of the gas. This is the most common way of dental sedation in dental offices. It can be the only way to sedate, or dentists also combine it with local anesthesia. They start with the laughing gas, so that the patients will relax and don’t feel any discomfort during the injection. It all depends on the case and the patient as well. After the procedure, you’ll be soon back to normal and be able to drive yourself without any worries. The gas does have a very fast effect but also a short term one. Oral sedation is also a common technique which involves getting medication. It can actually vary from very mild to a moderate one depending on the dose and a prescription. In the case of oral dental sedation, the dentist prescribes certain pills to achieve an anxiety-free procedure. It can also be a liquid. Different people have different tolerance, but the higher doses usually provide a sleepy state, but the patient can be awakened easily. The lower ones, on the other hand, deliver a mild sedative effect. These pills are called sedatives and come in many shapes and forms. Dentists know exactly which type they should use and when. Your dentist will also let you know when exactly you should take the pills and how. You will be much more relaxed, and the chances are you won’t remember much from the procedure. Since the effect won’t disappear right away, you will definitely need someone to give you a ride home. Dentists can combine oral sedation with laughing gas. In our office we are using exclusively IV dental sedation, supervised by an anesthesiologist . This technique includes an IV drip through a vain. Important to know for patients undergoing a conscious sedation would be to know that any kind of food and drinks should be avoided from 6 hours up to the start if the treatment. During the procedure the patient is not fully conscious but feels relaxed with minimized discomfort. The level of consciousness can be controlled by the attending anesthesiologist in between minimal (patient feels relaxed and still can understand and answer questions), moderate (patient feels drowsy and may even sleep) and deep sedation(patient will sleep throughout the surgery with little or no memory). IV sedation is suitable for surgical procedures, as well for standard dental procedures in case the patients feel anxious(Dental Phobia) about dental procedures . 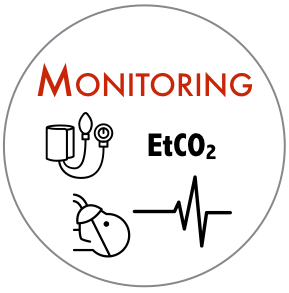 Since it involves monitoring of the vital signs, it has to happen with the presence of an anesthesiologist in the room. The patient is still fairly awake and the dentist can wake him up when needed. In our office we are using Droperidol as a tranquilizer and Fentanyl as the analgesic medication in a ratio 5:1. Important to know for the patient would be also that he shouldn’t operate cars, machines within several hours after the procedure. The main advantage compared to General anesthesia are the fewer side effects. This is the deepest form of dental sedation. It is definitely not in the use that often, since it does require a whole team. General anesthesia is also not used for regular procedures such as root canal or extraction of teeth. Dentists mostly use it for special cases, including oral and maxillofacial surgery. There are patients with special needs that can’t sit down on the dental chair and go through the whole procedure, so they are also eligible for general anesthesia. The patient is completely asleep and does not remember anything. This type includes a sedative that is administered into a vain, but can be combined with pills or laughing gas as well. After the procedure, general anesthesia requires some time for effects to go away. That is why you might even need to stay there for some time and ask for help for a drive home. The level of sedation, of course, varies between separate types. Some of them provide a minimal level, meaning that you will remember everything. It also applies that the patient would be more relaxed than usual. The second level is moderate, which is stronger than the previous one. The patient is still conscious, but also has memory gaps. Most people find it very hard to remember what happened during the procedure. The third level is even deeper than the previous ones. This means that it provides a state where the patient is barely conscious, and they can be awakened by the medical staff. The last one is not done as often as the before mentioned three. It is connected to general anesthesia, where the medical professional puts the patient completely to sleep. Who Can Get Dental Sedation? Almost everyone is a candidate for some type of sedation. The dentist will first get familiar with your overall health, and let you know which types are the best for your case. There are patients with other health conditions that simply should not receive any type of sedatives. But they will always be sent to their medical doctor to get advice and approval. Either way, if you’ve been struggling with anxiety about visiting the dental office, you can always talk to your dentist and ask which are the options for dental sedation in your case. Who Can Give Dental Sedation? It all depends on the dental office you are visiting. Most dentists are licensed to provide sedation via the laughing gas or prescribe oral sedation. When it comes to IV and general anesthesia, they are much rarer. These techniques require special training, a whole staff, special equipment and that is why not everyone does them. In our office IV sedation is supervised by an anesthesiologist, all life paramaters are permanently controlled. If done properly this sedation is completely safe. That is the main reason why a dentist should have knowledge of your whole medical history. There are certain groups of people who are labeled as “risk groups”, which are not always candidates for dental sedation. If you have been dealing with any chronic illnesses, you should let your dentist know. They will be able to give you the proper advice, and communicate with your other doctors in finding a solution that is best for your case.